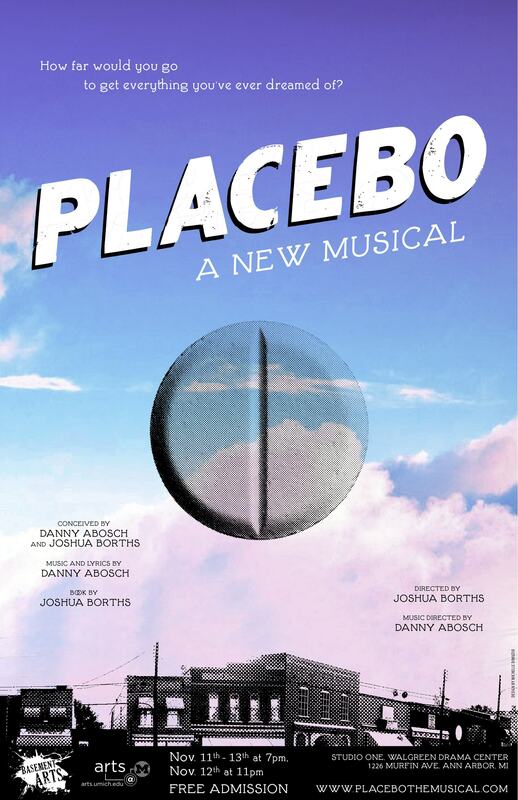 PLACEBO has been selected by the Pasadena Musical Theatre Program (PMTP) for its second annual Development Award. The Development Award includes a fully produced workshop presented at the Carrie Hamilton Theatre at the Pasadena Playhouse in August 2012, directed by Artistic Director and musical theatre writer Ryan Scott Oliver. The Pasadena Musical Theatre Program (PMTP) is a unique non-profit performing arts training organization in Pasadena, California, dedicated to developing and nurturing creative talents in the performing arts by encouraging students to embrace musical theatre as a method of self-exploration to enhance their personal growth and professionalism. Established in 1995, it continues to grow under the leadership of Artistic Director Ryan Scott Oliver, with two theatre companies serving elementary through high school students, a conservatory, masterclasses, concerts, and more throughout the year. It provides the highest level of arts education while also remaining the lowest costing theatre organization in Pasadena, dollar-per-hour. Find out more at http://www.pasadenamusicaltheatre.org.